Wendy Karina Martinez is seen here in this undated image that was digitally altered. Six months later, Martinez's fiancé is coping with the shock of the loss as he vows to fulfill a major goal she couldn't reach: running the Boston Marathon. 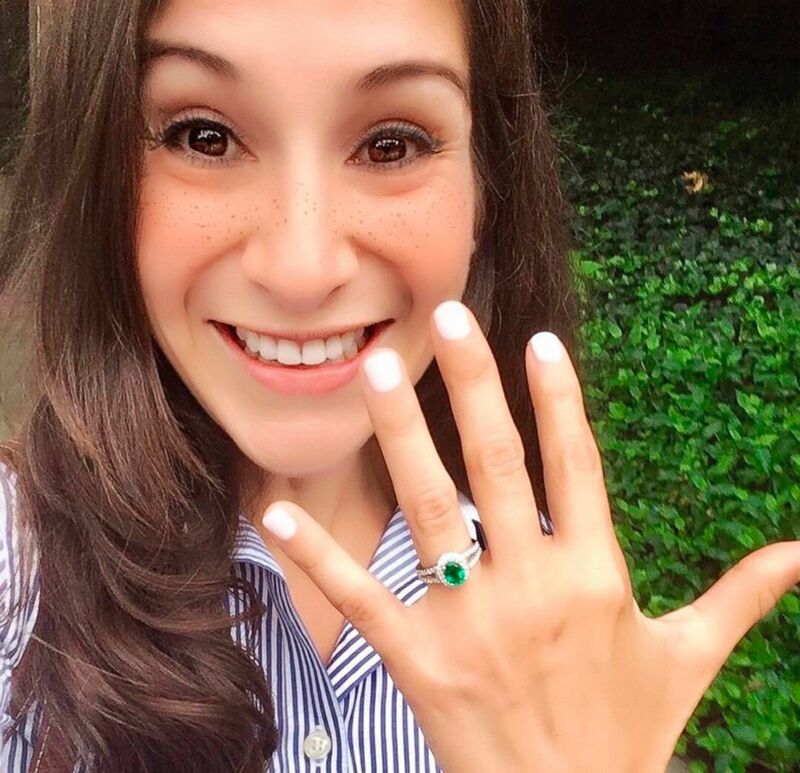 Martinez was running in D.C.'s bustling Logan Circle neighborhood on Tuesday, Sept. 18, 2018, when she was stabbed seven times in the face, neck and back, in an unprovoked attack by a stranger, according to court documents. 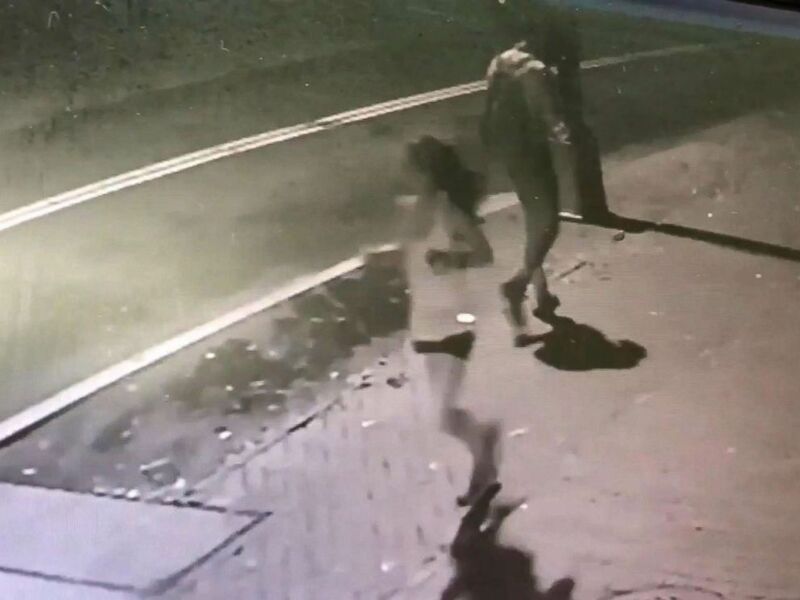 Surveillance video shows a 35 year old woman who police say was killed on Sept. 18, 2018. "She did nothing to deserve this," her mother, Cora Martinez, told ABC News Friday, overcome with emotion. "Her faith, her passion for people and her determination to reach her goals ... She was full of life, full of dreams. A person that really wanted to enjoy life even more. And she couldn't." 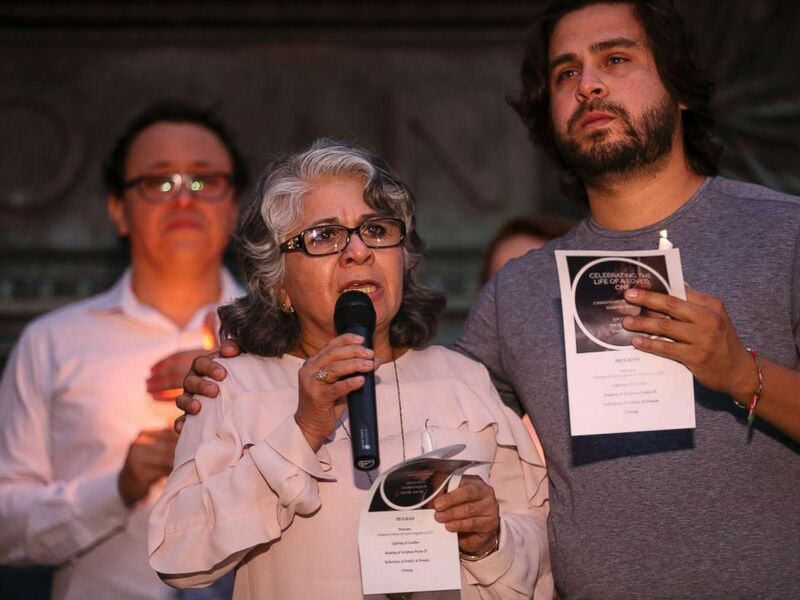 Cora Martinez, the mother of Wendy Matinez who was killed in Washington while jogging, speaks during a candlelight vigil in her daughter's honor on Sept. 20, 2018 in Washington. It was a moment of joy... we were very much in love. A determined young woman with a "passion for people," according to her mom, she was working as chief of staff at tech startup FiscalNote. But she also "kept looking for better ways to reach out to women," said Cora Martinez. "My daughter was a great motivator." A world traveler, she wanted to help Latina immigrants in the U.S., her mother said, and "had a dream about helping people from Nicaragua, women with low income, so they'd be educated and financially ready to become independent." "She also developed this passion for running. She found in running a great way to find herself," Cora Martinez said. "Not only to relieve her body from stress but to relieve her mind of any negative thoughts. So she would go run and she would dream while running. 'What is next? What am I supposed to do in life? Who am I supposed to be helping?'" 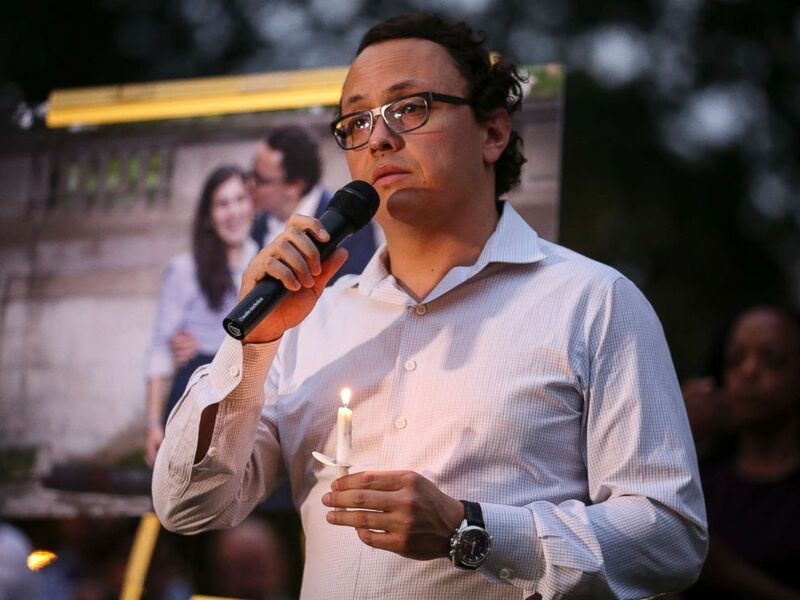 Daniel Hincapie, fiance of Wendy Martinez, speaks during a candlelight vigil in her honor in Washington, D.C. on Sept. 20, 2018. 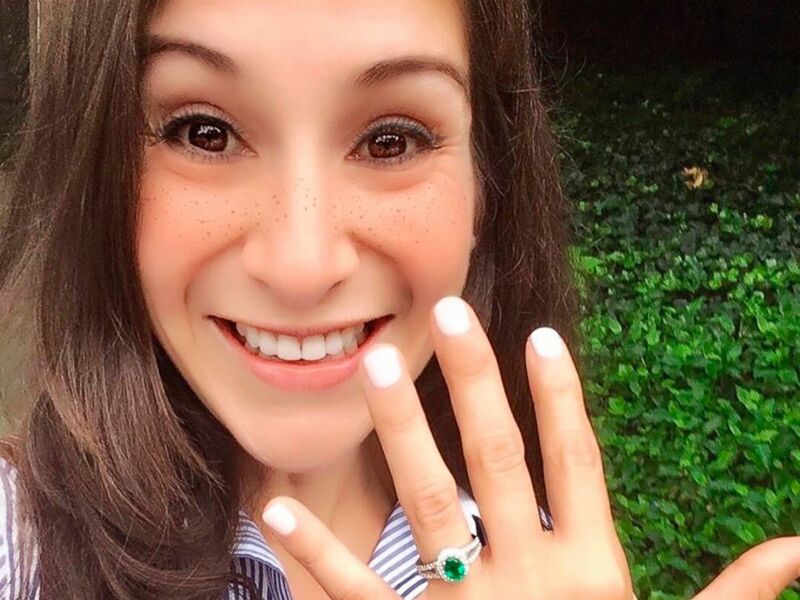 He decided to propose at her favorite spot in D.C. -- the Spanish Steps. "To actually tell her that I loved her and I wanted to spend the rest of my days with her in that place had a lot of meaning," he said. "It was a moment of joy... we were very much in love." "She was living the happiest moment in life," Cora Martinez said. "She was excited about what was coming." Crawford, Martinez's suspected killer, underwent psychiatric treatment and medication for psychosis, and this month he was ruled competent to stand trial, reported ABC Washington, D.C., affiliate WJLA. Crawford is due to return to court on May 17. His defense attorney did not immediately respond to ABC News' request for comment. Hincapie called the shocking crime "one of those things I think that no one is prepared to face." 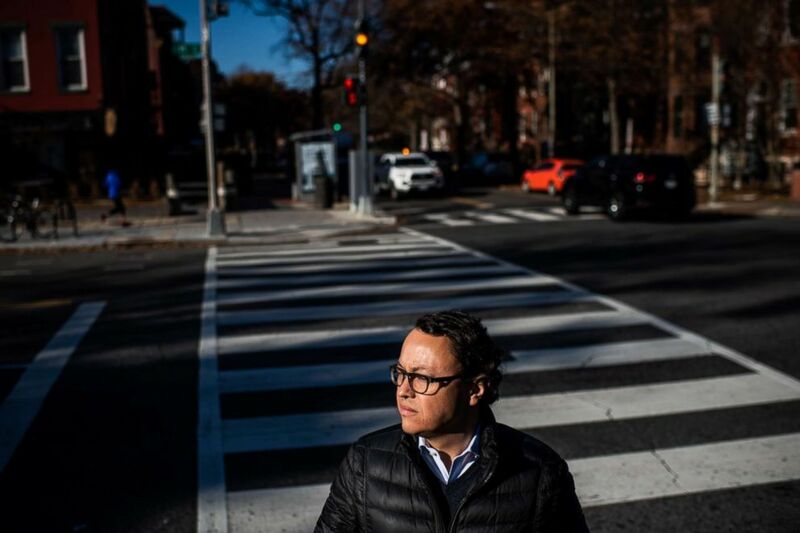 Daniel Hincapie poses for a portrait at the location where his fiancee was fatally stabbed in Washington, D.C., Dec. 7, 2018. "And when you actually realize how random the whole thing was, it's very difficult to grasp, because I think at the end of the day, we're humans and we try to rationalize violence," he said. Amid the grief, Hincapie said "the worst thing you can do is fall into hate," so he instead chose to celebrate his fiancée's life. "One of her dreams was actually to run the Boston Marathon," Hincapie said -- a race he'll run in her honor next month. "Having the opportunity to fulfill her dream after what happened, it's extremely symbolic," Hincapie said. "She was running when she was attacked, so it's also a way to tell the world [we will] finish her race." "It's a way to cope," he said. "It's also a way to connect with her. ... It's almost like running with her." "I want to young women to continue believing that it's possible to be kind, to give back to the community, to pursue love and to be successful. Wendy represented all those aspects I think," he said. "If you can be any person in the world, be someone like Wendy."